Jeffrey C. Collison was born August 29, 1956. Jeffrey received a Bachelor of Arts in Secondary Education at Central Michigan University in 1978. Mr. Collison attended the Thomas M. Cooley Law School earning his Juris Doctorate in 1982. Jeffrey was admitted to the Michigan State Bar on November 15, 1982, and the United States District Court for the Eastern District of Michigan on February 22, 1983. On November 9, 2011, Jeffrey C. Collison was admitted to the United States Supreme Court. Mr. Collison is a member of the Michigan State Bar Association, the Saginaw County Bar Association, and the Bay County Bar Association. Jeffrey is also an active member in the Michigan Defense Trial Council, serving as a member of the Board of Directors and as former Saginaw/Bay Region Chairman. Jeffrey is a member of the Association of Defense Trial Attorneys and, also serves as the Secretary/Treasurer of the Saginaw Senior Circuit Pro Bono Bar Association. Mr. Collison’s practice areas include personal injury litigation, insurance law, contract law, products liability, and all appellate proceedings. Jeffrey also serves as a Case Evaluator in Saginaw, Bay, Genesee, and Midland Counties. 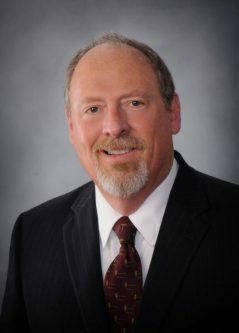 Jeffrey C. Collison served the Saginaw County Bar Association as a member of the Board of Directors from 1999-2002, Vice-President from 2002-2003, and President from 2003-2004. Mr. Collison is also a volunteer investigator and arbitrator for the State of Michigan Attorney Grievance Commission. Jeffrey is a member of the Sons of American Legion, and was the Thomas More Society Chairman from 2010 – 2012. Mr. Collison is the former Chairman of the Saginaw County Bar Association Liberty Bell Committee. Jeffrey also served his community as an elected official, sitting on the Swan Valley Board of Education as Treasurer from 2005 – 2006, Vice-President from 2006 – 2007, and President from 2007-2008. Jeffrey C. Collison is a Partner in the law firm of Collison & Collison.